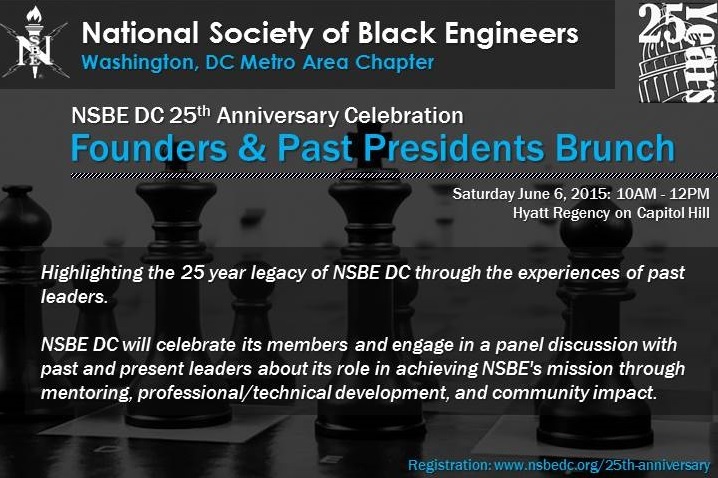 The Founders' & Past Presidents' Brunch provides an opportunity for fellowship while highlighting the 25 year legacy of NSBE DC through the experiences of past leaders. As part of the brunch, we will engage in a panel discussion with past and present leaders about our role in achieving NSBE's mission through mentoring (excel academically), professional/technical development, and community impact (STEM). Come join in the food and fun! Your attendance is greatly appreciated and encouraged! Following the Brunch, there will be a Members Showcase from 12pm-2pm!